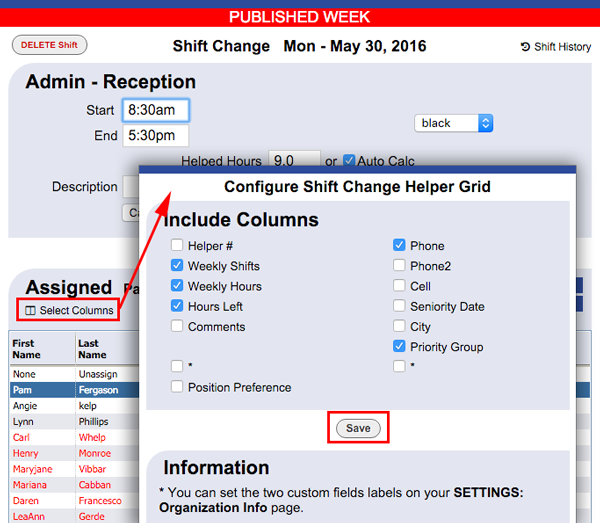 If a helper calls in sick, is called out, or you would like to change the assignment for a shift, simply click the shift and choose another helper. The list of helpers displays in order of availability and help time preferences with the best recommended helpers listed first. If helpers have entered their schedule preferences, the list will sort the helpers in order by who prefers to help at that time on that day. The list can also be sorted alphabetically by clicking the Name column title. Then in the Shift Change window you can see a list of available helpers - sorted by who prefers that shift time. 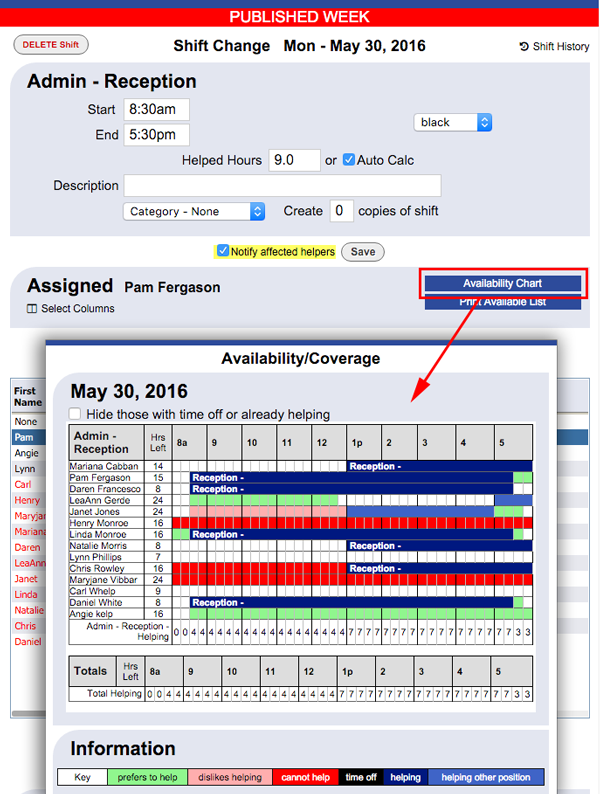 Another way to see who might be a good choice for a replacement is to click the "Availability Chart" link in that window. This gives a graphical view of who is available and who likes that time period along with each helper's number of hours under their maximum for that week. Changes made to a shift in the last 45 days are recorded in each shift's Shift History.